Gorgeous End Unit Townhome! Tandem garage fits two cars (front to back) with HUGE storage area and patio off the back. On the second level you have a nice sized living room area with vaulted ceilings which opens up to the upgraded Kitchen with Corian countertops and Stainless Steel Appliances. A deck/balcony is off the Kitchen. The second floor also features a bedroom/office with a full bath and a bonus area off the Living Room. Upstairs features 2 bedrooms and 2 more full baths! The Master Bedroom also has a large sitting area/office area. The Master Bath features a separate soaking tub and stand-shower. TONS of storage throughout this townhome! Community Pool included and one pet will be considered. 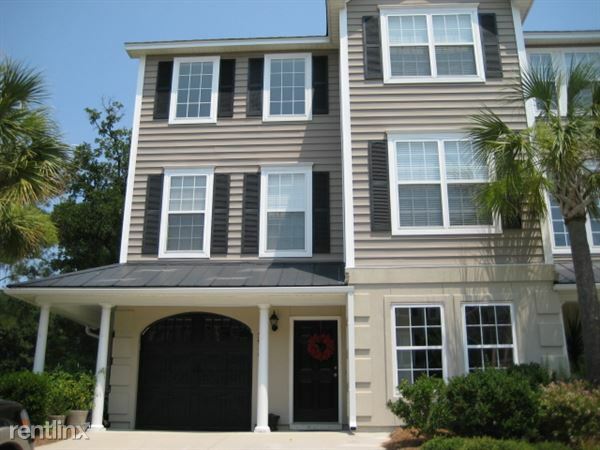 Minutes to Isle of Palms/Sullivans Island and minutes to downtown and the Mt. Pleasant Town Centre!